Local people and businesses are being asked to help the Borough Council say ‘thank you’ to our local community stars, as part of the Inspirational Woman Award celebrations. Local organisations are coming together this October to raise awareness of hate crime and how to report it in Northampton. Northampton Youth Forum’s gambling-related harm awareness raising has drawn interest from industry leaders and education institutions, following their presentation at a London symposium. Residents are being invited to share their opinions about the introduction of a Public Spaces Protection Order (PSPO) in the Marble Arch area of Northampton. Northampton veteran and healthcare advocate, Pat Haslam was announced as the winner of the 2017 Inspirational Woman Award at a ceremony on Saturday 4 March. Northampton Borough Council’s Women’s Forum and BBC Radio Northampton are joining together to celebrate the achievements of local women through the 2017 Inspirational Woman Award. Northampton Borough Council’s Partnership Fund grant process opened for applications for 2017/18 on Tuesday 3 January. Northampton’s jam-packed Christmas programme continues on Sunday 4 December with the second Frost Fair market and children’s lantern parade taking place on the Market Square. Northampton Borough Council scooped a national award for the work it does with diverse communities across the town at the Hate Crime Awards on Thursday 17 November. The management and lease of the newly built facilities on the St Crispin estate is set to be transferred to Community Spaces Northampton, who already run a number of community centres across the town. A proposed Public Spaces Protection order aims to reduce anti-social behaviour by prohibiting certain activities within the Borough and Town Centre and making them a criminal offence. In addition to the annual two minute silence on 11 November, Northampton will be honouring members of the armed forces who died in the line of duty with a Remembrance Sunday parade and service. Christmas in Northampton holds something for everyone this year, with a range of events, entertainment and seasonal treats on offer in the town centre as part of a five week countdown to Christmas. Ahead of the free bonfire and fireworks display on Saturday 5 November, Northampton Borough Council is asking residents to park in the town centre and walk to the Racecourse to enjoy the fun. Northampton Borough Council will be marking International Men’s Day on Friday 18 November by raising awareness of men’s health. Northampton Borough Council is working with Northants Police, Northampton Rights and Equality Council and Northampton Inter Faith Forum to deliver four local events in support of Hate Crime Week. 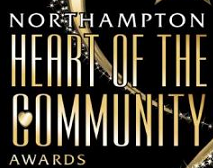 People are being urged to submit their nominations for this year’s Heart of the Community Awards before the deadline passes on Friday 11 March.